Melvin & Melvin, PLLC, was founded in 1921 by brothers Myron and Crandall Melvin. The Melvin Brothers were leaders in the local legal and financial community. Since its founding, Melvin & Melvin, PLLC, has grown to become one of the leading law firms in Upstate New York. 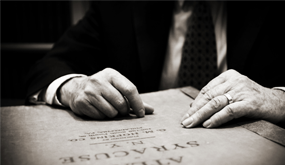 Melvin & Melvin lawyers frequently write on subjects of interest in the law. As a service to our clients and the public we will be publishing writings of general interest in this section of our web site, which will be updated regularly. So please visit in the future for more articles on the law that may be of interest to you. As a mid-size firm with attorneys focusing on various areas of law, we are able to handle complex legal needs while maintaining a personal touch that is lost in many of today's larger firms. 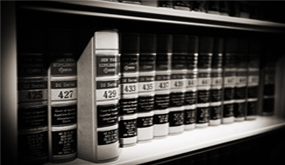 Our attorneys work together to provide each client with the full spectrum of legal services it requires. Our diverse practice represents individuals and businesses from across Upstate New York, the United States, and the world with all of their legal needs.